A central symbol of Czech nationalism and the fall of communism during the Velvet Revolution as well as a vibrant commercial strip during the day, this famous square also has a less ideal reputation at night. After dark, Wenceslas Square becomes host to nefarious types like hookers, touts, drug dealers and your typical bands of drunks going to and from the abundance of clubs around. It’s no wonder the city has nicknamed Ve Smečkách (the Square’s shady area) “sin street”. It’s a tourist attraction by day, but venture there at your own risk and keep a firm grip on your purse or wallet. Everybody will use an ATM at some point here; it’s the easiest way to get cash – just like in the States. However, unfamiliar to most Americans you should avoid using ATMs standing separately from the walls. These can be easily hacked and scammers can get access to the account information of the person who has withdrawn money. “A friend of mine withdrew some money at a train station with exactly that kind of an ATM and, basically the next day, all his money was gone,” said one AAU student Julia Nowak. It’s better to look for ATM’s attached to a wall or near a reputable bank. 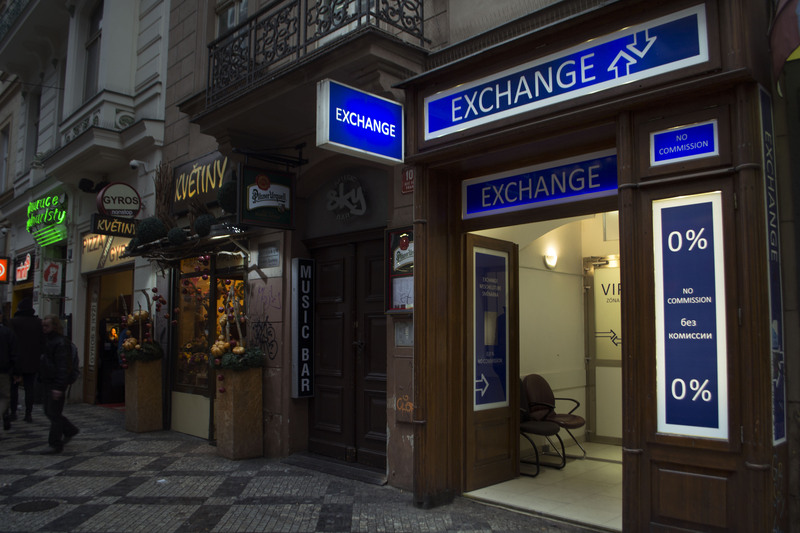 What is more, on almost every corner you’ll find money exchange locations that will promise you zero percent commission but almost all are rip-offs and you will be charged regardless (the commission is usually built into the exchange rate). The safest and most reliable place to exchange foreign money is always a bank. Aka riding public transportation without a tram or metro ticket. Although trams and metros do not require a pass to get on and off, there are plainclothes police who patrol the trams or metro areas and will periodically check random people (usually those who outwardly look like tourists) for their passes or tickets; if you don’t have a ticket it could cost you a fine of 800 crowns. You should also make sure the ticket inspectors service ID is visible and, if not, you should request to see it before they ask for your ticket or pass. Scammers have been known to impersonate police and take transportation passes from unaware commuters. American visitors are used to the rule that a pedestrian always has the right of way, especially those who come from small college towns. These students are in for a rude and dangerous surprise when they come to Prague because, unlike cars or buses, the Prague city trams will not yield to pedestrians. Anne Glynn, an American study abroad student had a first-hand experience with this. “My first day in Prague, a group of us were going to the mall and, living on a small Wisconsin campus it’s normal to cross the street [expecting vehicles to yield]. But from the corner a tram was coming full speed and was not going to stop! My friend Reilly had to pull me back from getting hit,” recalled Glynn. Never assume that the trams will stop for you, because they won’t.